Are you on the fence as to what grow tent you should get? With so many options it’s hard to know which one is the right one to purchase. 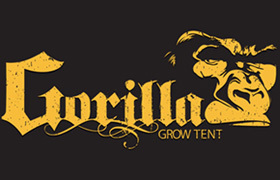 Two major players in the grow tent business are Gorilla Grow Tents and Secret Jardin Tents – both reputable companies within the industry. If you’re a beginner, starting out with your first grow operation, it’s important to go with the right equipment so that you don’t need to upgrade later down the road, which is why it’s important to narrow down your choices of grow tents. For those not in the know, a grow tent is a small, portable grow room that you can set up anywhere and anytime. Very similar to a grow box, a grow tent provides you with an ideal indoor growing environment the same way a grow box does, but it’s more convenient. The only difference is the structure between the two since a grow box is built using components that are more permanent, while a grow tent uses fabric and can collapse when not in use. If you want a brand that is already known for quality products, then Gorilla Grow is your top choice! They have years in the business and create top-quality grow products that are used by many. Gorilla Tents are known to the thickest, strongest and tallest in the industry, with the original grow tent revolutionizing the industry. Their tents have a patent-pending adjustable height extension kit that allows users to grow their tent space all the way up to 9’ tall if they have the space. This in turns makes your plants grow bigger by 50%. Other tents are limited to only 6’ tall so this is a huge benefit if you’ve got the room for it. And all of the tents are made using 1680D threaded, reflective fabric that is anywhere from 3 to 9 times denser than any other setup, which translates to a more durable, stronger, safer and lighter setup. Plus, Gorilla Grow Tents are known to be 2 to 5 times stronger than competitor tents. The Gorilla Grow Tent GGT55 option is one of their more popular ones, featuring a 12” height extension kit, infrared blocking roof insertion, 100% metal interlocking frame and connectors and a convenient access tool pouch. The doorways offer 360-degree convenient access and can hold up to 300 lbs.! Its dense threading and tight seals help contain noise and odor, while a sturdy flood pool holds water tightly. 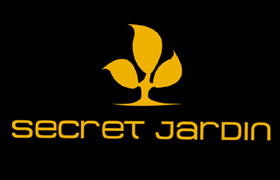 It doesn’t matter if you’re an expert, professional or a beginner because Secret Jardin offers you grow tents that are easy to use and made using high-professional quality materials that will guarantee a large harvest. The type of Secret Jardin tent you should get depends on your level of skills since they make kits specifically based on levels of experience. But each one allows users to grow a wide variety of plants at home, easily and conveniently. Each tent features a canvas outside and reflective nylon on the inside. And they were one of the first brands to use reflective Mylar on the inside of their tents, which has since become an industry standard. They also offer tents in a wide variety of sizes to fit any space. Many of them also feature viewing holes so that you can check on your plants without having to actually go inside. The Secret Jardin Lodge Plant Growing Tent is the latest model in their Revision 2.50 collection of tents, featuring two stations with three separate growing areas so that growers can mange plants in different stages of development. But the tent is still super compact and great for small spaces or those with little height. These tents are easy to assemble and feature a solid, waterproof base. They’re made using strong equipment bars to support carbon filters and reflectors, providing you with at durable inside growing option for your needs. It really comes down to your budget and level of experience!